One zero day turned into two. I stayed in the hiker bunkhouse at the Courthouse Motel. Independence is a tiny town that straddles Highway 395. This is a main road in Eastern California. I spent a few hours at the Eastern California Museum. They have extensive displays about Manzanar, the Japanese Internment Camp nearby. And a roomful of woven willow baskets. I want to learn how to do that. 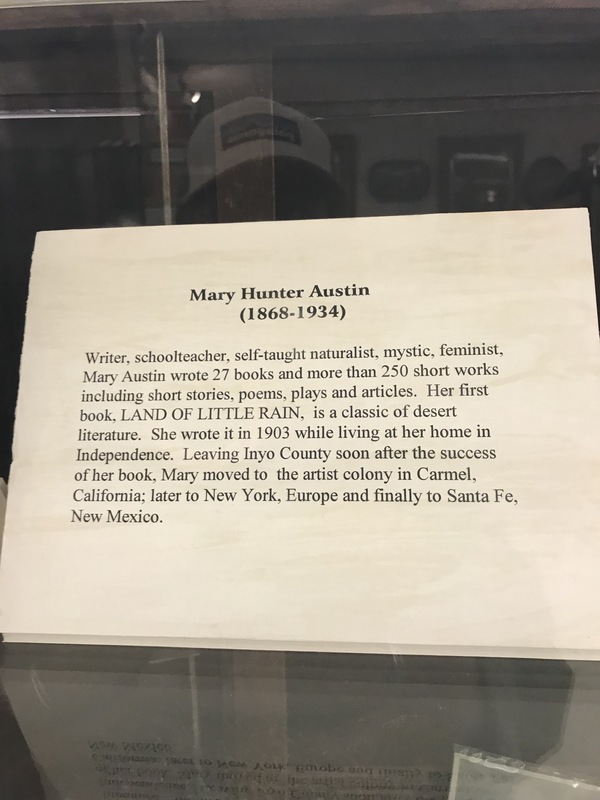 I read a bit about Mary Austin. She wrote about Independence. Later she lived in a treehouse in Carmel. That’s pretty much my dream life. 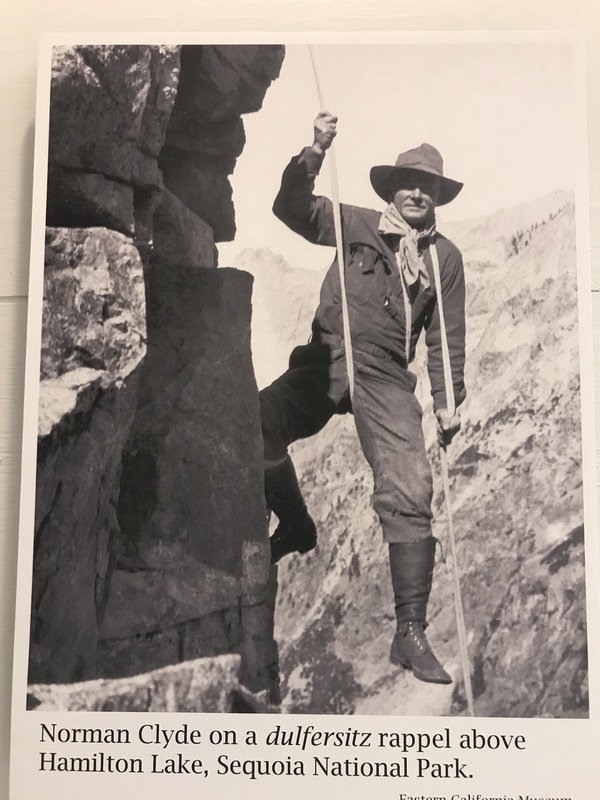 There was also a display about Norman Clyde, early mountain climber. He bagged a bunch of nearby peaks. As you may notice in the photo, climbing gear was quite different back then. Reading was popular at the backpackers cabin. It was too hot for much motion. The bookshelves were full of random books. One hiker was reading Neitzche. Another JMT hiker was reading John Muir’s journals. I finished off two ebooks, both in the chick lit genre. Used to abseil like that many moons ago, definitely a go slow operation and yes my “bits” still seem to be intact. Similar, more up to date (and safer) method can be used to descend short steep winter snow slopes encountered while walking.